For the past several years, I have told all of my friends that the funniest verse in the Bible is found in Acts chapter 2. Although, I will admit that it does take a certain mindset, and it does take the reader to visualize it just right in order to see the humor of it. This humoring verse is found immediately after Peter and the others began to speak in tongues in Acts 2:13-15: “But others mocking said, “They are filled with new wine.” (14) But Peter, standing with the eleven, lifted up his voice and addressed them: “Men of Judea and all who dwell in Jerusalem, let this be known to you, and give ear to my words. (15) For these people are not drunk, as you suppose, since it is only the third hour of the day.” This verse range really cracks me up when Peter says, “—since it is only the third hour of the day (9:00 a.m.).” You may be thinking I’m stupid and that this isn’t funny, but this really cracks me up because I can totally see some sarcasm in the statement. It’s sort of like Peter is saying, “Duh we’re not drunk, it’s only 9:00 a.m.” Just cracks me up. On a serious not though, I will often use this verse to point out that Peter didn’t make excuses about preaching the Gospel. From a Christian stand-point, it is noticeable that most people would rather make excuses about teaching the Gospel rather than actually teaching; however, this is not what we find Peter doing. The same Peter that denied Christ three times is seen here teaching the Gospel… when he had the perfect excuse: “They are filled with new wine.” I think rather often that surely alcohol was as big of a deal then as it is now: becoming inebriated being common, accepted, and the perfect excuse for any mistake in a social situation. One commentator on Rome and America agrees: “Many of the beliefs, attitudes and practices regarding alcohol existing today can be traced back to the these earlier cultures.” (http://www2.potsdam.edu/alcohol/timeline/Greeks-and-Romans.html#.VPOsp_nF-qI) This thinking has led me to what I want to consider: the use of alcohol in first century Rome. However, before talking about first century Rome, it is useful to look at the progression of alcohol use in the Greek and Roman area. What I found in my research, was that over the course of Greek and Roman rule, the use of alcohol became more and more rampant. In the 5th Century B.C. Greece I found that moderate use of alcohol was promoted as good for the health and happiness of a person. Moving on the 4th Century I found that Greeks are thought of to have been the most temperate of cultures in terms of alcohol use. (http://www2.potsdam.edu/alcohol/timeline/Greeks-and-Romans.html#.VPOsp_nF-qI) Moving into the 3rd and 2nd century B.C. and the beginning of the Roman era, I found that excessive drinking became more and more common. “Practices that encouraged excessive drinking in the Roman empire included drinking before meals on an empty stomach, inducing vomiting to permit the consumption of more food and wine, and drinking games. The latter included, for example, rapidly consuming as many cups as indicated by a throw of the dice.” (http://www2.potsdam.edu/alcohol/timeline/Greeks-and-Romans.html#.VPOsp_nF-qI) Moreover, I found that one possible reason for the new excess was the newfound ownership of the Mediterranean. “By the middle of the second century BC, however, with the defeat of the Etruscans and the Samnites, Pyrrhus and the Greeks, Philip of Macedonia and the Carthaginians, Rome controlled the Mediterranean, and there were both the wealth and markets to invest in vineyards.” (http://penelope.uchicago.edu/~grout/encyclopaedia_romana/wine/wine.html) However, the peak of the Roman’s drinking era is said to be around the middle of the first century in which “It has been estimated the average consumption of alcohol by Roman citizens and soldiers was about 100 gallons per year” (http://www2.potsdam.edu/alcohol/timeline/Greeks-and-Romans.html#.VPOsp_nF-qI). I did the math, and averaging 100 gallons a year is averaging 35 ounces of wine a day… Whoa. So it’s pretty obvious that the Romans used wine quite frequently, but what all did they use it for? 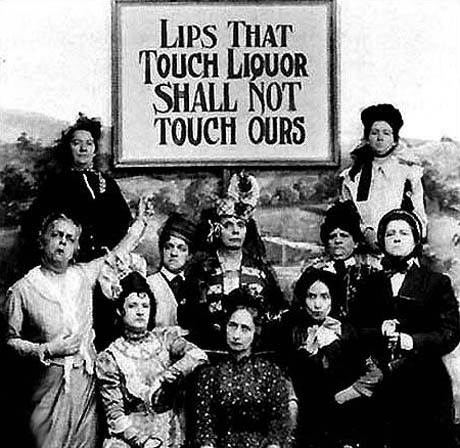 An obvious answer to the question of wine usage is that it was used to get drunk. “What’s important to us today is to illustrate one fundamental way Roman culture can reasonably be compared to ours—drinking. The Romans loved to drink every bit as much as we do, maybe even more, and their beverage of choice was Wine.” (http://drunkard.com/issues/03_06/0306_drunkus.html) Wine consumption purely for the use of inebriation was actually rampant during the first century B.C. and first century A.D. As mentioned above, they enjoyed their wine to the point of drinking, eating, puking, drinking, eating, and repeat at dinners. There is even a rumor of their being a specific room for people to enter just for the purpose of puking at dinner parties. Aside from the use of alcohol to get drunk, wine also played a role in the realm of pagan, Jewish, and Christian religion. Wine is seen in Pagan religion as a celebration of the dead, and used as sacrifice to the gods. Jewish religion was filled with wine due to the many festivals such as the feast of Purim in that day. Moreover, Christianity accepted wine as the fruit of the vine for the Communion/Lord’s Supper/Eucharist. What I really found out that Wine was not just some sort of commodity, but it was used so much and so often that it could have replaced the dollar. Wine was used for feasts, all different types of celebrations, medicinal purposes, religious ceremonies, cooking, water cleaning, scientific studies, dyes for fabrics, and as like a blush for pale cheeks. “It was a key element of their social lives and their medical practices.” (http://drunkard.com/issues/03_06/0306_drunkus.html) It was held to such a high standard, that “High-born citizens were judged, not by the silver in their vaults, but by the quality of their vineyards.” (http://drunkard.com/issues/03_06/0306_drunkus.html) Therefore, it seems pretty reasonable to conclude that wine/alcohol was a pretty big deal back in the Roman era; so big that not even Las Vegas seems to compare. It’s pretty easy to glean from research that alcohol in the time of Jesus, Peter, and the other apostles was a big deal in Rome. It can even be implied from the story of Jesus turning water into wine that there was a high value on wine since the man-of-honor replied to the host, “Everyone serves the good wine first, and when people have drunk freely, then the poor wine. But you have kept the good wine until now.” (John 2:10) Moreover, it appears that drinking wine was an even bigger deal than it is in twenty first century America. Based upon all this I might even stop using German or Russian stereotypes as alcohol jokes and now use Roman. Therefore, my joke from the beginning is actually appropriate. Therefore, my serious note in the beginning about excuses is actually valid: Peter had the perfect excuse. Posted on March 2, 2015 by dgaskins08	This entry was posted in Uncategorized. Bookmark the permalink.